This year, around 100 students displayed their innovative product ideas in areas such as food, shoes, clothing, as well as various pet and hospital service ideas among others in the Entrepreneurial Exhibition this year. 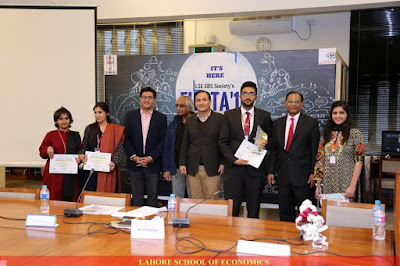 Notable figures of the industry and Entrepreneurs were invited as judges who evaluated the ideas put forward by the students. 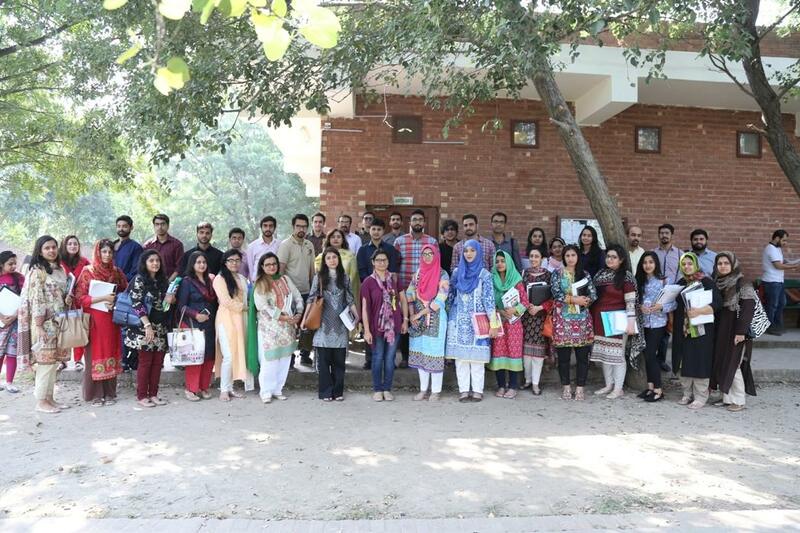 Various awards for different categories including Best Product Idea, Best Service Idea, Best display and Entrepreneur of the Year were given to the students. 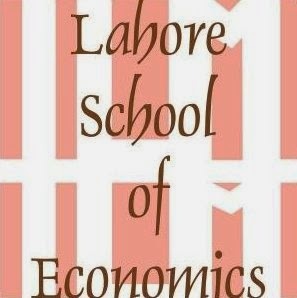 Lahore Journal of Business (LJB) – a biannual publication of Lahore School of Economics - has been recognized by the Higher Education Commission (HEC), Pakistan as "Y" category journal. The journal especially encourages ground-breaking submissions or those demonstrate original or counterintuitive findings in relation to established business theories or assumptions. Also, LJB appreciates a variety of conceptual and theoretical traditions of business including those drawn from allied social, economic and psychological sciences. Submissions should develop new and/or test existing theory, and empirical papers may employ a range of qualitative, quantitative and other methodologies so long as they are rigorous and appropriate. 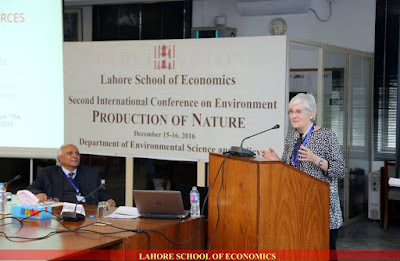 Although, the prime readers of LJB are scholars and researchers, the journal cherishes contributions that explore and explicate implications for the Pakistani and/or South Asian business enterprises and their managers, as well as consequences for public policyand the broader role of business in a contemporary economic society. LJB welcomes manuscripts in the following areas: accounting, banking, finance, management and organization, marketing, human resource management, international business, organizational behavior, business policy and strategy. While natural resources are substances that can be exploited by society, the term un-natural resources draws attention to natural resources that are exploited – and landscapes created – through the criminal violation of laws intended to regulate the economic processes of extraction. The propositions that these crimes may be unpunished – and even incentivised – because they supply the financial preconditions for electoral democracy and because political immunity protects criminal accumulation, are explored in this paper. 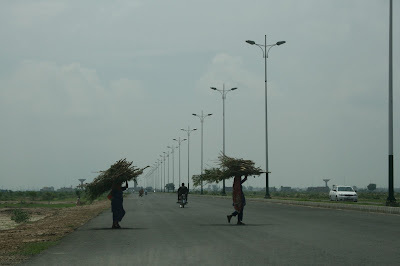 Four case studies: illegal coal mining and un-doused subterranean fires in Jharkhand, illegal sand-mining in Tamil Nadu and hydro-criminality in Arunachal Pradesh, India, reveal social relations of criminality in the extraction of resources for the energy and construction sectors, the relations between criminal accumulation and party political funding and behaviour. They also alter the orthodox narratives of local politics in the states studied in ways examined in the paper. Dr. Theresa Chaudhry visited Oxford University in late November 2016 to give a talk entitled “Relative Misfortune? Health and Socioeconomic Consequences of Cousin Marriage in Pakistan” to an audience of South Asia scholars. 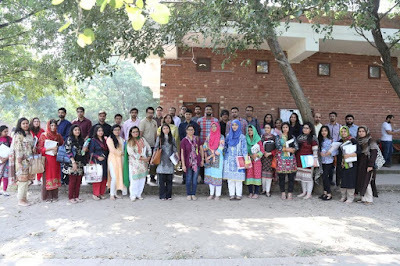 This lecture was part of the Contemporary South Asia Seminar series, under the Department of International Development and Contemporary South Asia Studies Programme. The seminar is organized by Professor Matthew McCartney, Director of South Asian Studies in the School of Interdisciplinary Area Studies at Oxford. 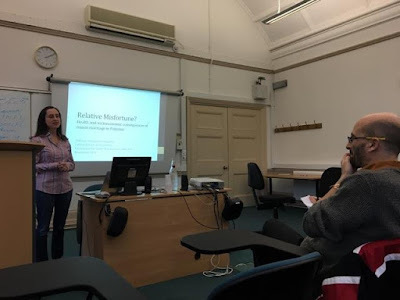 While in the UK, Dr. Theresa also discussed ongoing research and future collaborations with Professors McCartney, Chris Woodruff (Oxford), and John Morrow (Essex). 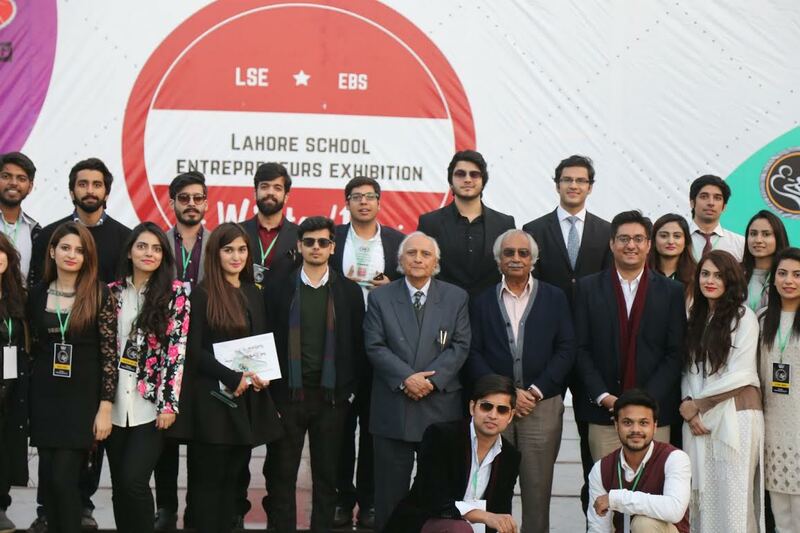 Lahore School Entrepreneurship and Business Society hosted Business Fiesta’16 on 1 December 2016. 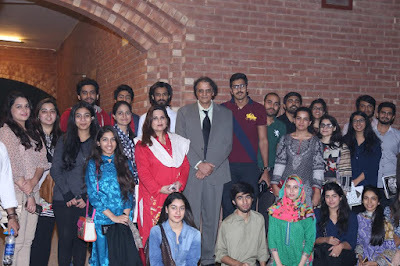 Dr. Azam Amjad Chaudhry, Dean of Economics Department and Dr. Sohail Zafar, Dean of Business Administration were the Chief Guests. 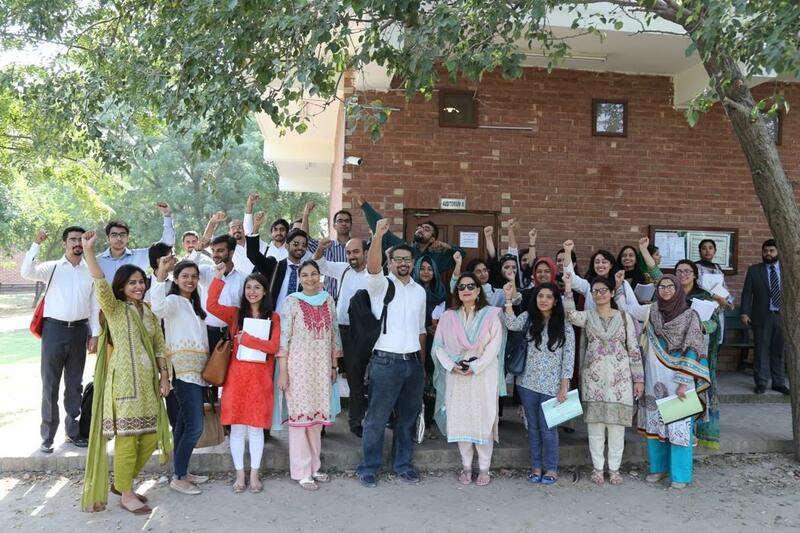 There were 3 judges for Round one; Ms. Tania Hassan, Mr. Faizan Khalid and Mr. Hamza Tariq, the Ex-President of the society and for Round 2 there were 5 Judges; Mr. Moiz Hijazi, the founder of the society, Mr. Wasif Arshad, Mr. Hassan Shah (CEO of Kale) , Mr. Talal Niazi & Mr. Saad ul Khan from Travellers. Mr. Omar Zahoor, Director Supply Chain Pepsi Pakistan, visited the Lahore School of Economics on Monday, October 17, 2016 to deliver a lecture to the graduating MBA class on Operations and Supply Chain Management. The speaker discussed the importance of various factors that were crucial in supply chain management: alignment of individuals’ goals with the team goals, managers sharing their expectations with the employees, sharing of results with the team in order to provide them with a sense of direction, working hard to bring the team on the same page and appreciating, motivating and encouraging the team. Mr. Ehsan Talat, Senior Brand Manager, Cerelac Nestlé, was invited on Tuesday, November 08, 2016 to the Lahore School of Economics to deliver a lecture on ‘Consumer Insights’ and provide an answer to the question 'Do most Pakistani ads have a consumer insight?' to the outgoing MBA students. Consumer behavior and consumer insight is the heart of all businesses and enterprises across the world. Consumer insights have several layers and it is very important to unearth the very last layer in order to display what the consumer really thinks. 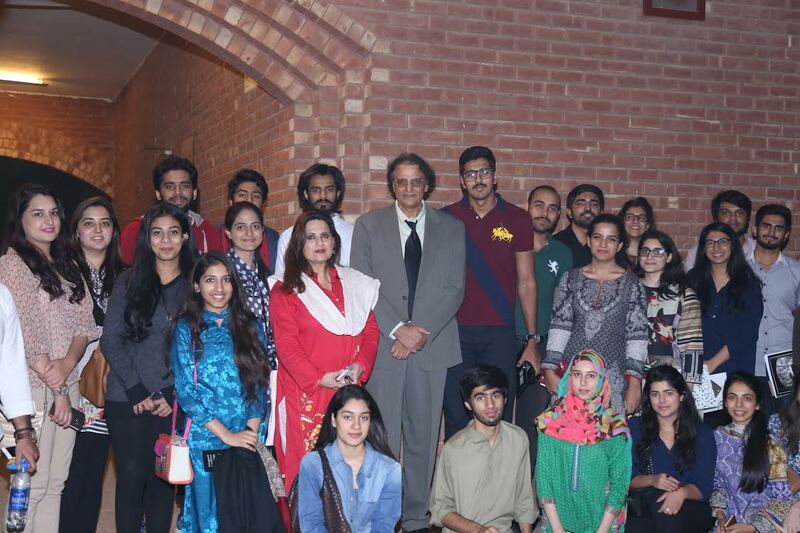 Mr Wasif Waseem Ashraf, CEO and Founder 360d Consulting came to Lahore School of Economics on Monday, November 21, 2016, to deliver a lecture to the graduating BBA class. The topic for the day was “Career Building”. Mr Ashraf guided the students to make certain career objectives before they begin to plan out their career. 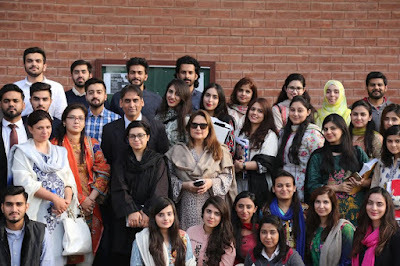 He urged the students to find their passion and to opt for something that brings out their creative side. 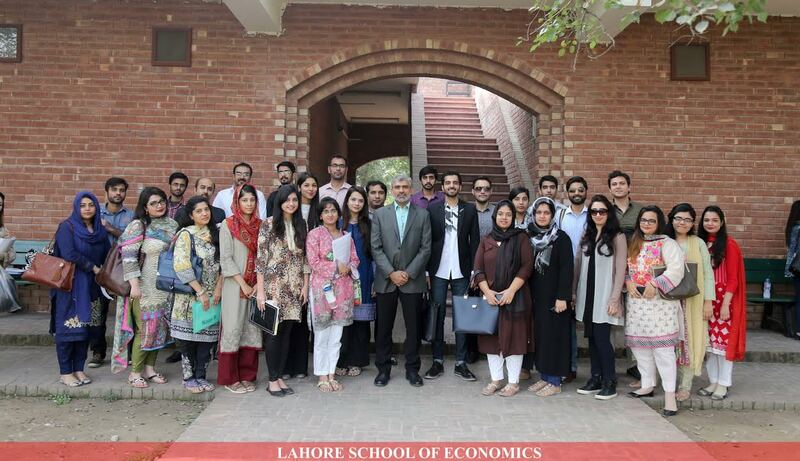 Mr. Haroon Ahmed, CEO Access Retail Pakistan visited the Lahore School of Economics on Monday, November 07, 2016 to deliver a lecture on “Marketing Research” to the graduating MBA class. Mr. Ahmed stated that marketing research provided insight for developing new businesses. The research helped to increase the probability of success by providing valuable insight at various stages of the new business development. It also helped with concept testing and product testing. In consumer segmentation it is used to determine the attitude of the consumers towards the product or service. In retail audits, marketing research was done by forecasting volumes. Mr. Sohaib Asim, Head Consumer Insights Nestle visited the Lahore School of Economics on Tuesday, October 18, 2016 to deliver a lecture to the graduating MBA class. The topic for the day was “Brand Building”. Nestle focuses to build and promote its brands in the market. The main factors were: 1) Creating an engaging brand experience for the consumers, 2) Getting to know the consumers deeply, 3) Innovating bigger, bolder and better, 4) Guiding consumers with brand essence and properties, 5) Delighting consumers with brand product packaging and 6) Always planning and executing flawlessly. 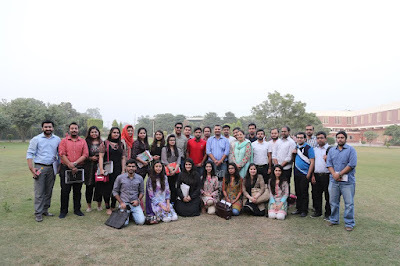 Mr Aurangzeb Bhatti, the CEO Cloudware Outsourcing visited the Lahore School of Economics on Friday, November 11, 2016, to deliver a lecture on “Entrepreneurship and Start-up Businesses”. 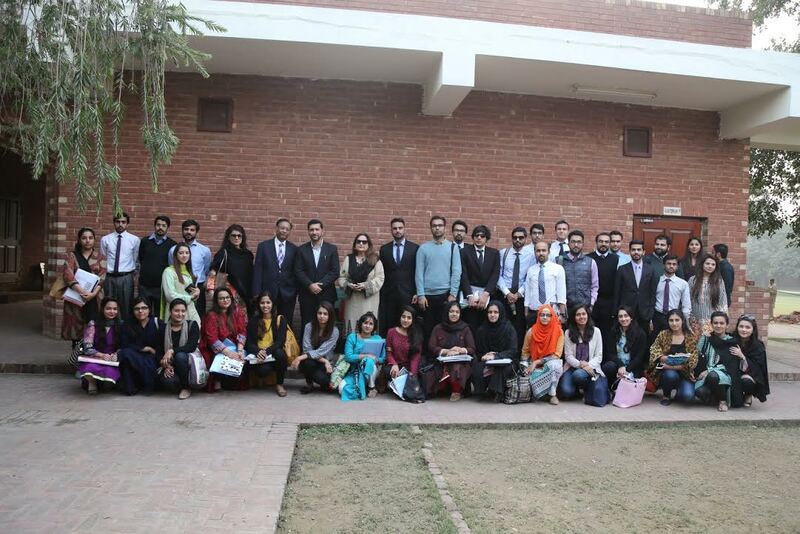 Mr Bhatti began the session with the importance of setting an agenda when venturing out as an entrepreneur. Agenda may include the business idea, opportunity recognition, business plan, organisation and management and possible reasons for failure of the business. 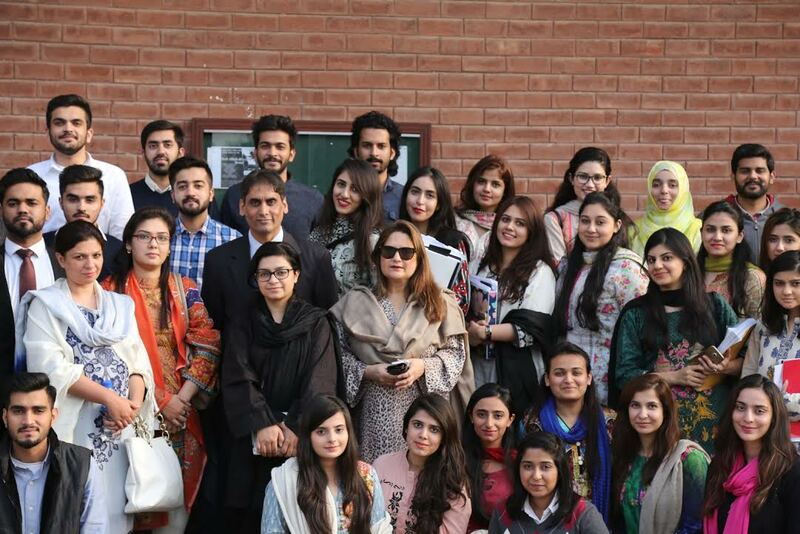 Mr Umer Ghumman, Business Development Manager Tetra Pak visited the Lahore School of Economics on Wednesday, November 23, 2016 to deliver a lecture to the graduating MBA class. Sharing his past work experience, he discussed B2B and B2C marketing strategies. He explained that Tetra Pak engaged in both B2B and B2C marketing.